It’s great for kids to develop a competitive spirit early in life. Competitiveness is a common trait among successful people, in and out of sports. 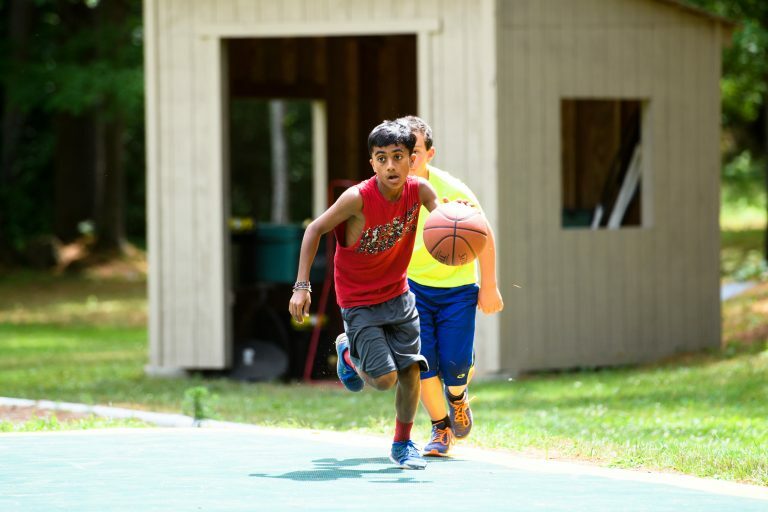 But so is sportsmanship and teamwork and those are values we emphasize every day at Camp North Star. Part of teaching our campers about being a good sport and a great teammate is how to handle losing. It’s easy to celebrate a win, and it’s also a lot of fun. Losing on the other hand is not so easy. Learning how to handle losing is an acquired talent. There are many lessons to be learned from losing. Resiliency and Grit – Losing teaches children how to get back up and try again. The old adage is true – quitters never win and winners never quit. It’s a trait that’s a valuable life lesson. Desire to improve – A loss should be viewed as a challenge. There’s nothing wrong with the realization that other people are better or more skilled than you. The positive approach is to take that information and use it as motivation to improve. Humility – No one likes to be around a sore loser. Congratulate your opponent when you lose and be sincere about it. Humility is a part of life because every competition is not going to be a success. Hard work – It’s not easy to be successful. It takes practice and training to improve yourself and your team. It’s an important life lesson for children when they learn the commitment and dedication needed to be successful in anything they do. Appreciation – Watching our campers learn how to handle defeat can be a rewarding experience. Losing can be used as a teachable moment. It’s very gratifying to watch one of our campers celebrate a success one day after handling adversity the day before. It feels good to win, but it feels even better when you win after a loss. It can’t happen if you stop trying. This summer we know everyone is already looking forward to Eco Challenge. And when the winning team is announced in front of the entire camp, it will be cause for celebration for one of the four teams. The celebration however, will quickly transform into our traditional chant of “Four Teams, One Soul…Four Teams, One Soul.” Because at Camp North Star winning isn’t the most important aspect of the camp experience. And that’s a lesson we teach our campers every day.